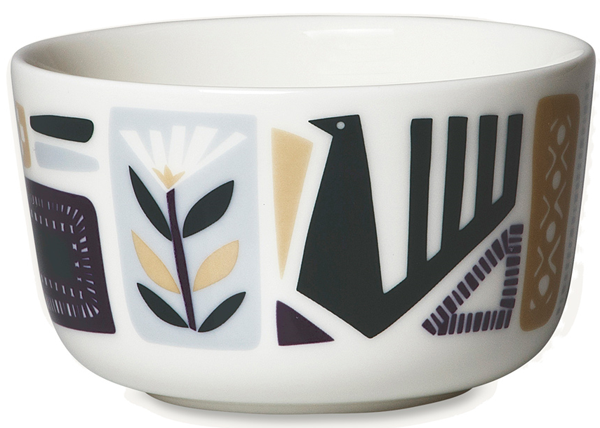 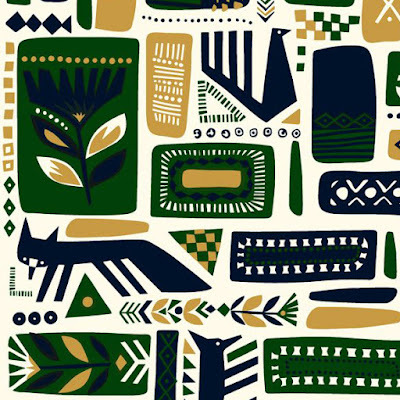 I couldn't wait to post these new dark and wintry designs by the legendary Sanna Annukka for Marimekko. 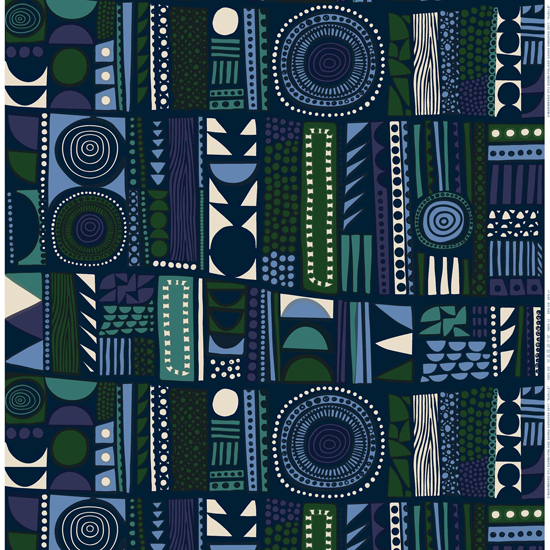 Called 'Njalla' this is Sanna's latest print available to buy by the metre/yard or as a cushion and tablecloth. 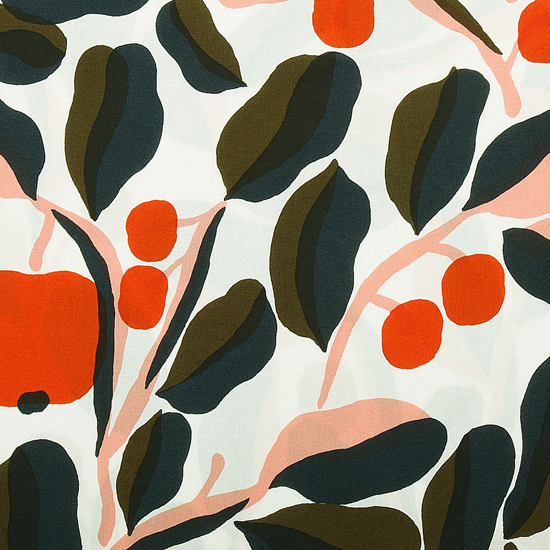 The design was inspired by all the various textures an colours found in a forest such as moss, leaves and berries. 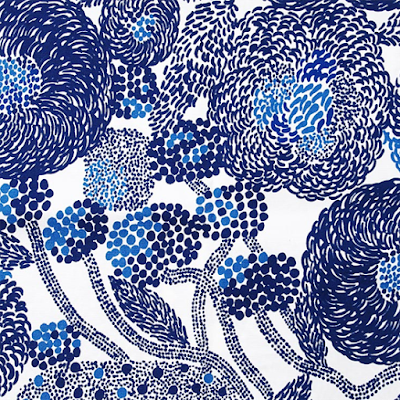 The next Marimekko pattern to feature from Sanna Anukka is 'Svaale' ,which is the Finnish for an Arctic Fox, and which often features in Nordic folk tales. 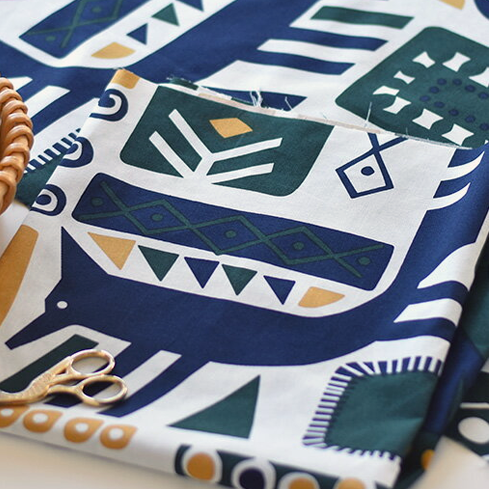 Sanna was inspired by old Eastern European embroideries where the animals are depicted in a very abstract way. 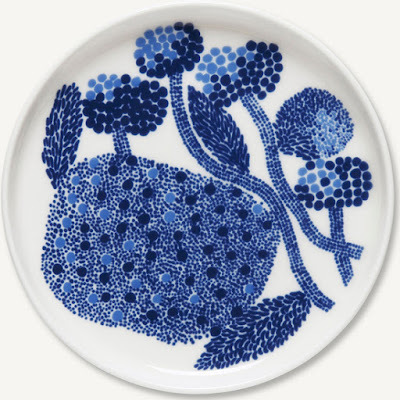 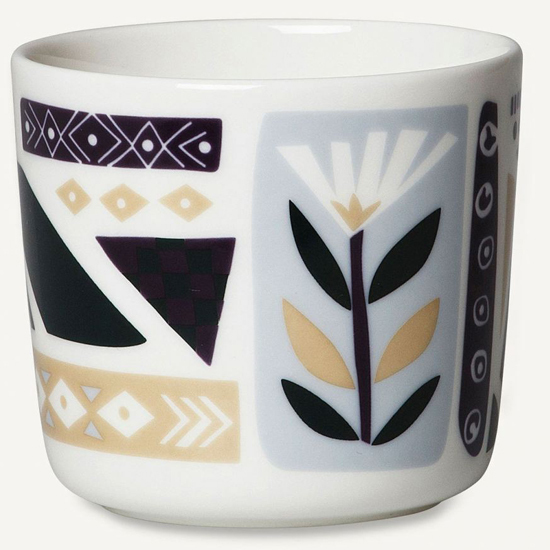 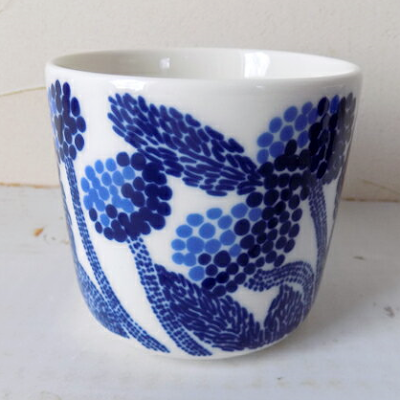 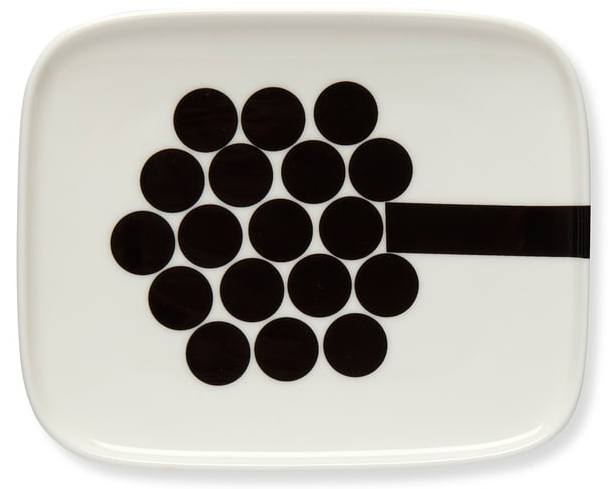 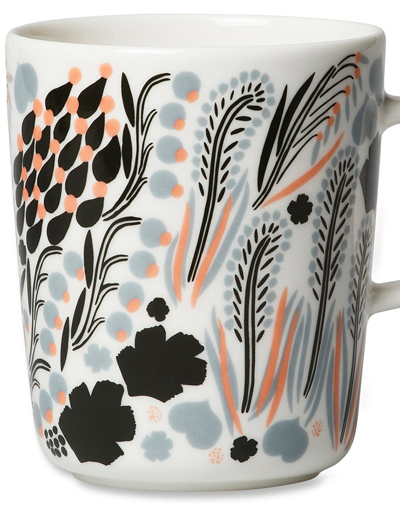 You can see more Svaale online here at Marimekko. 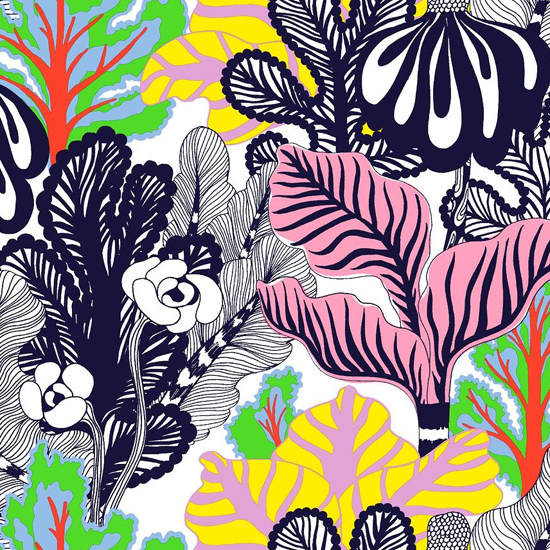 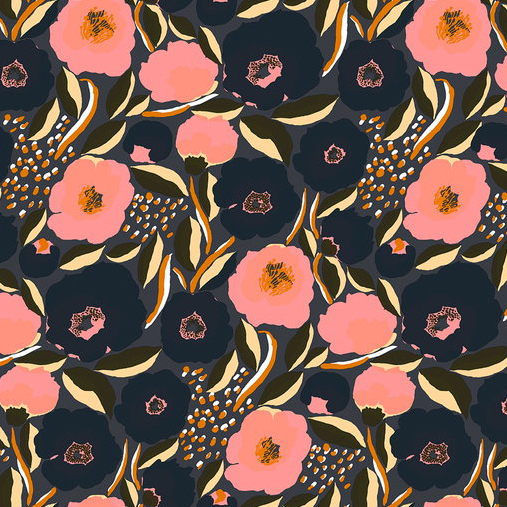 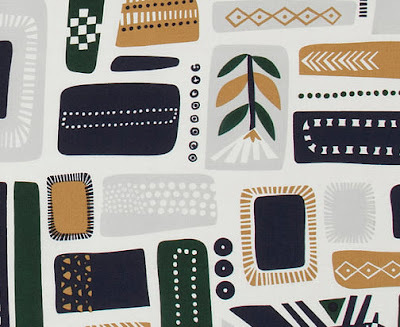 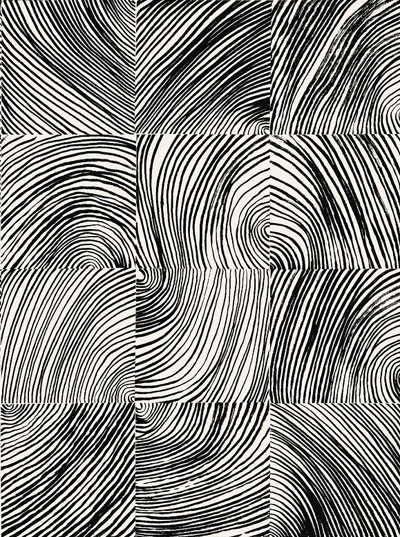 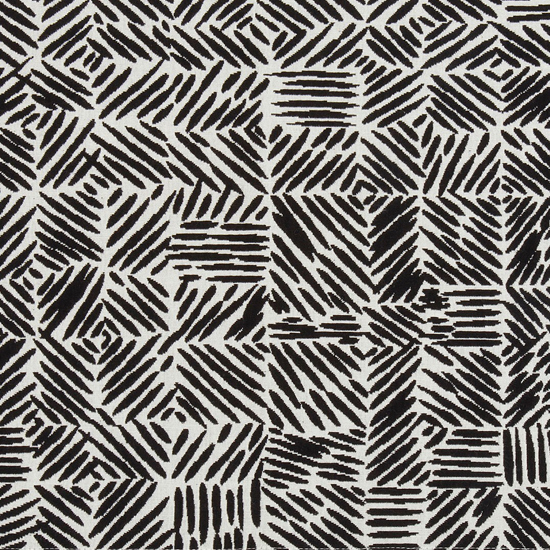 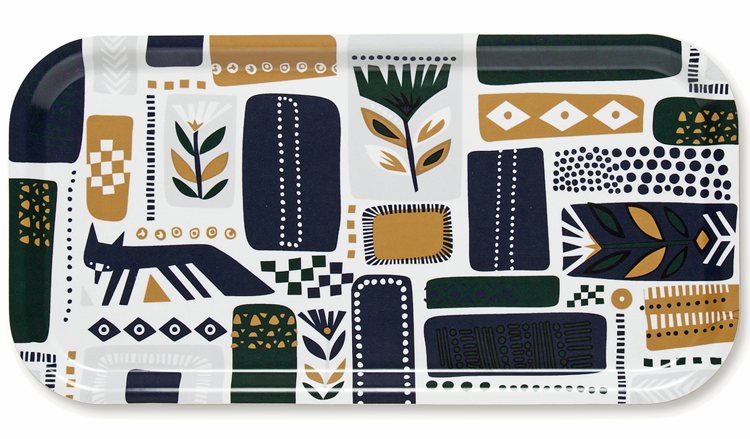 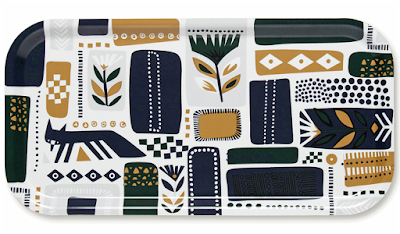 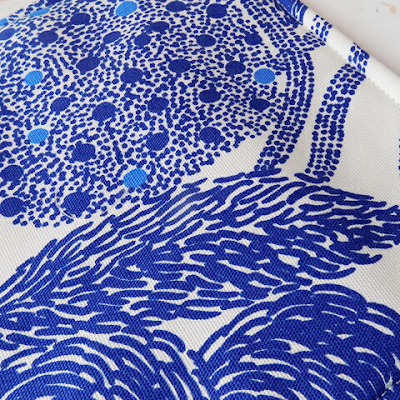 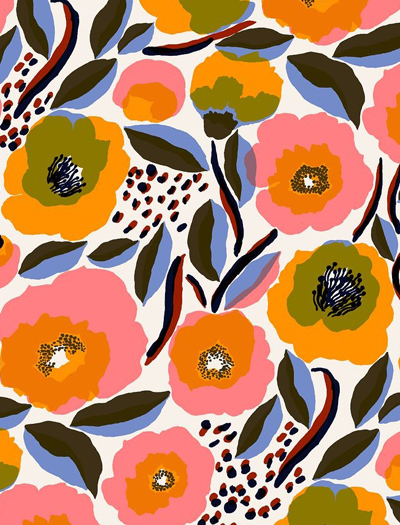 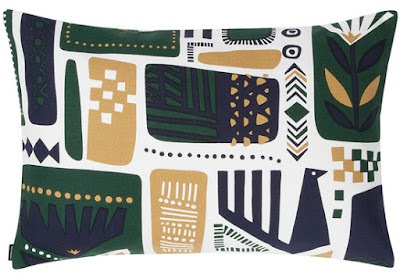 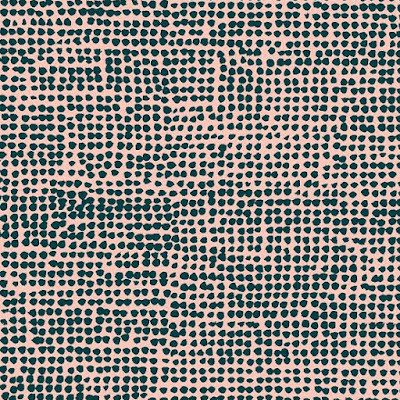 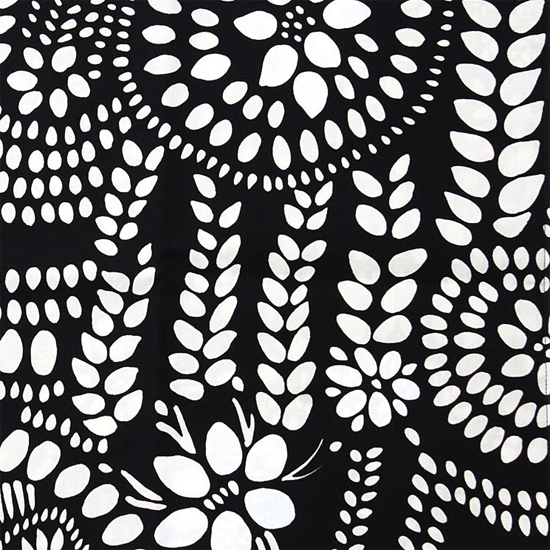 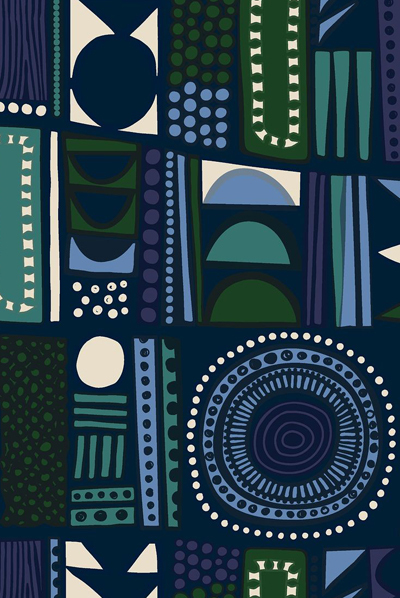 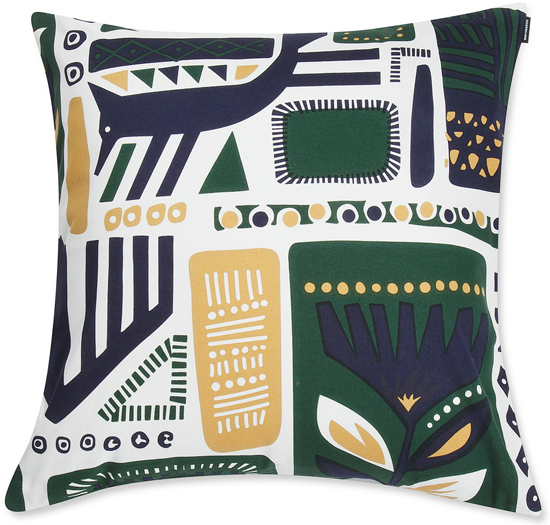 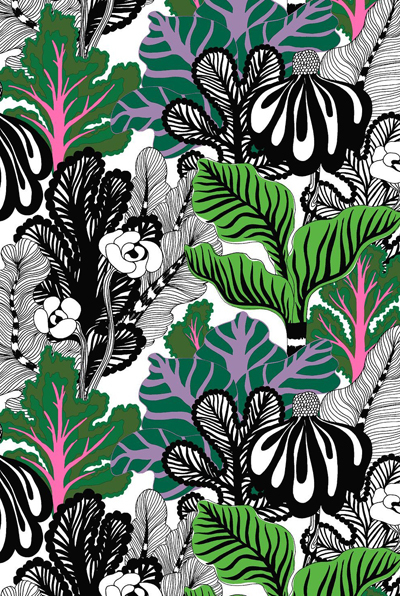 The next Marimekko print we have is Mynsteri by the famous Finnish designer Aino-Maija Metsola. The Mynsteri design was inspired by both nature with the fine dabs and strokes depicting an ensemble of flowers, leaves and delicate tendrils, and also the traditional craftsmanship of lace bobbins. 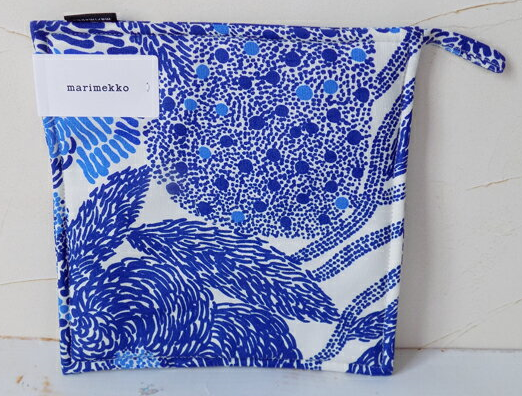 And finally here are some of the new arrivals at Marimekko. Each print is named in the title and you can find them all online here. I was in Helsinki recently and headed straight for the Marimekko outlet. 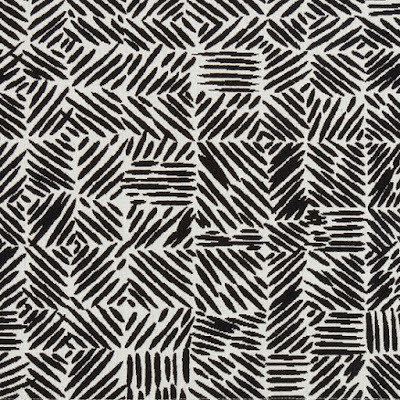 I found fabric remnants for #22/23, and then found a tote made out of the same material at the market at the harbour later that day. 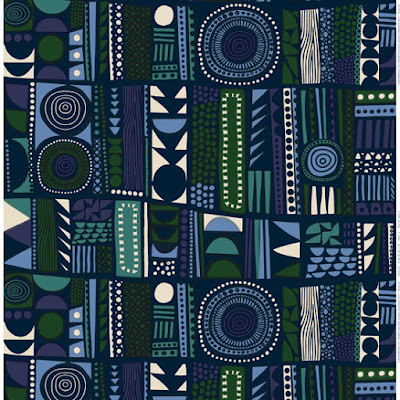 I'm going to make pillows from the fabric. 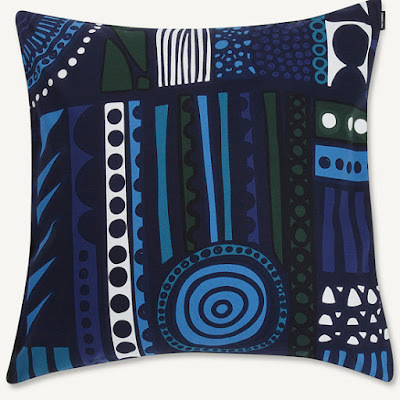 I'm also really impressed with their metallic take on the Unikko print this season.